Currently, the Special Air Service is the world’s most famous combat unit with the motto ‘Who Dares Wins’ but the story of how it came into existence has been, until now, a closely guarded secret. For the first time, the SAS has agreed to open up its archive and allow Ben Macintyre to reveal the true story of their formation during the darkest days of World War II. 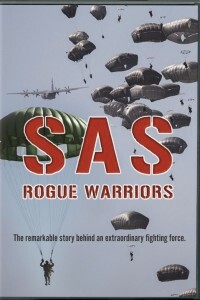 With unprecedented access to the SAS secret files, unseen footage and exclusive interviews with its founding members, this series tells the remarkable story behind an extraordinary fighting force.